Spring Clothing from Taylor Supply | A Continuous Lean. It’s been an almost winterless year, so there’s a distinct possibility that we won’t even need a jacket as things could go straight to summer. I’m not complaining though, so don’t get me wrong. 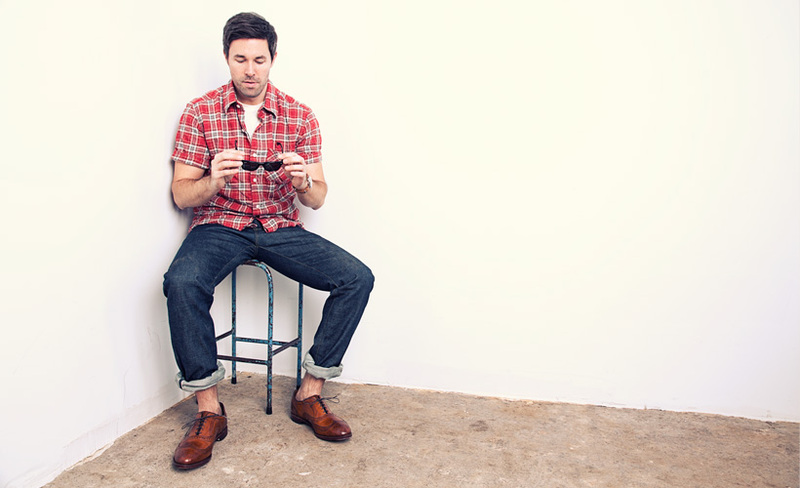 I’m also not mad at the new collection from Brooklyn-based Taylor Supply. Last season the brand made the decision to reel in distribution and focus on selling direct to consumers through its website. More and more I hear from small brands that pursue this model after struggling through the wholesale model. I have to think that cutting out wholesale distribution could only really work for a very small company or a very well funded company. The small companies don’t carry the overhead and the well funded brands can pump capital into marketing to help drive its message to consumers. The thing is, none of this would matter if the product wasn’t worth buying; luckily, this is not the case with Taylor Supply. I think the brand deserves more attention than it gets and so does its founder / designer Christophe Hascoat. He’s a humble and hardworking guy, exactly the type of person and company that I want to support with ACL. Each season when I see the new Taylor Supply collection, I find myself wanting basically the whole line. This spring is no different, and with the warm weather we have been enjoying, I could start wearing the stuff right away. More Taylor Supply coverage from the ACL archive here. really enjoying the army green cotton blazer. 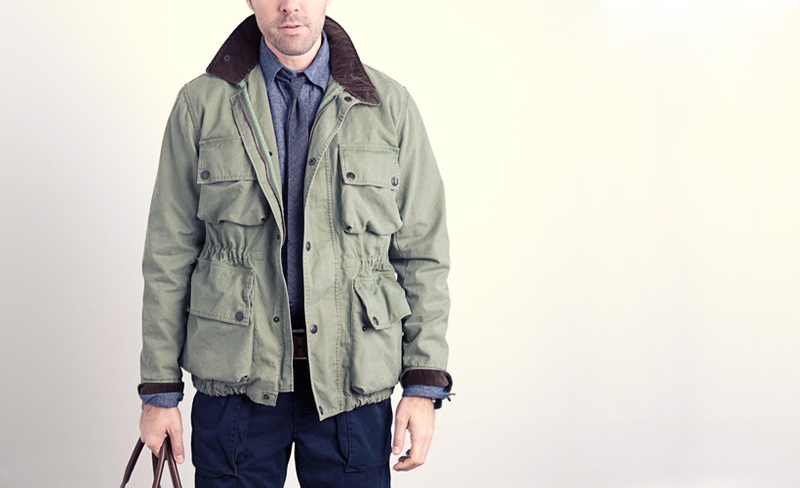 It has a nice balance of military utility and tailored style. The pouched hip pockets are a nice touch. I wonder if it suits with their “Infantry Pant”. 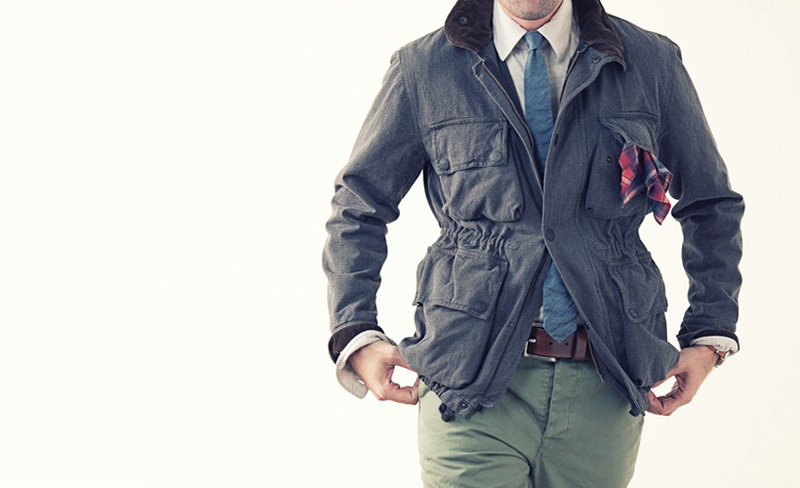 I’ve been wanting a washed green khaki suit for a few now. love the second to last pic.. great shirt. 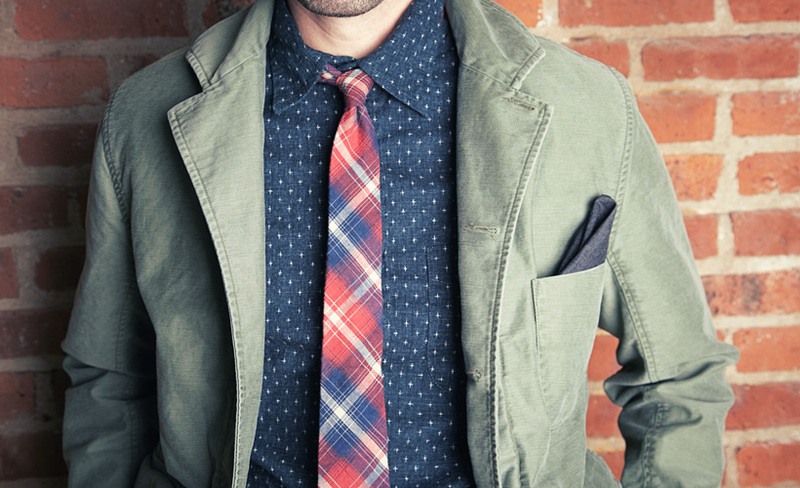 amazing tie . perfect jacket . You hit it on the nose, the problem with Taylor Supply’s lines are that you want everything. The upside is that as with my business, I know the money is going straight to the people responsible for turning out a high quality product. love the second to last pic.. great shirt. Went to the website. 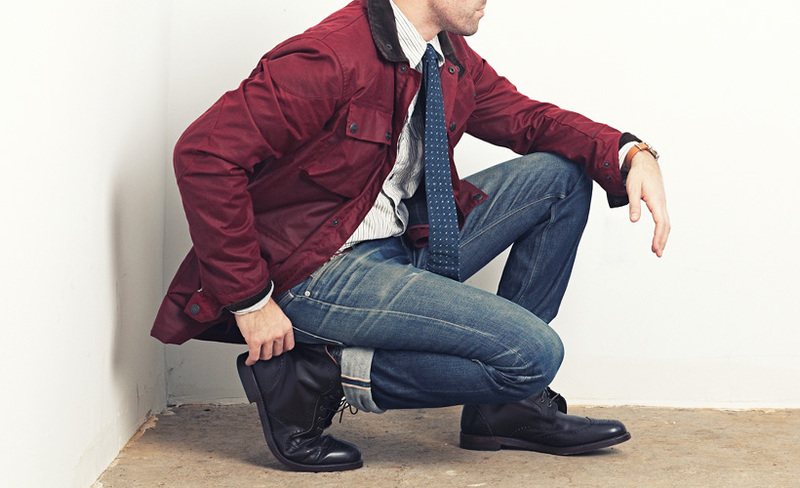 Glad to find that the maroon jacket doesn’t have the same cinched midsection as the green one. Thank you ACL and Taylor Supply for my first spring jacket! Don’t see the army green blazer on the site, any idea where it’s available? $165 for a short sleeve shirt? $168 for a pair of shorts? Lighting cigars with $100 bills? There stuff is definitely expensive but quality is worth it. Additionally, items being made in America are worth the extra $$$, to me at least. To each their own. 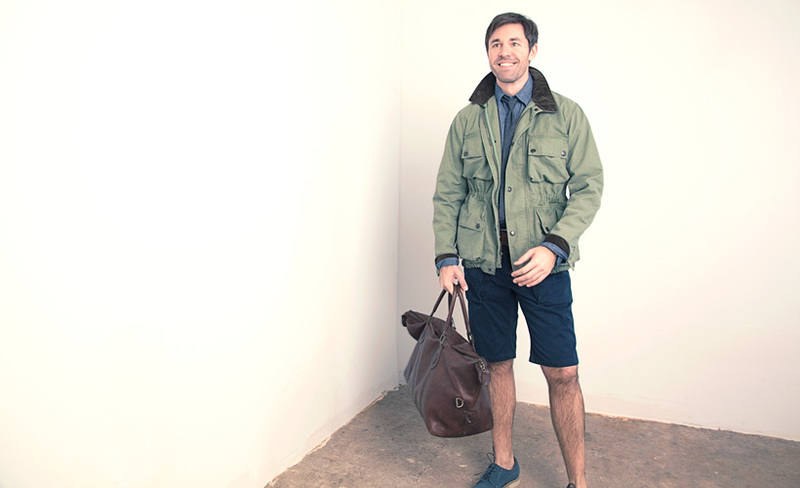 I’m a big fan of the chambray shirt underneath the green utility coat. Has a Rugged but neat look. 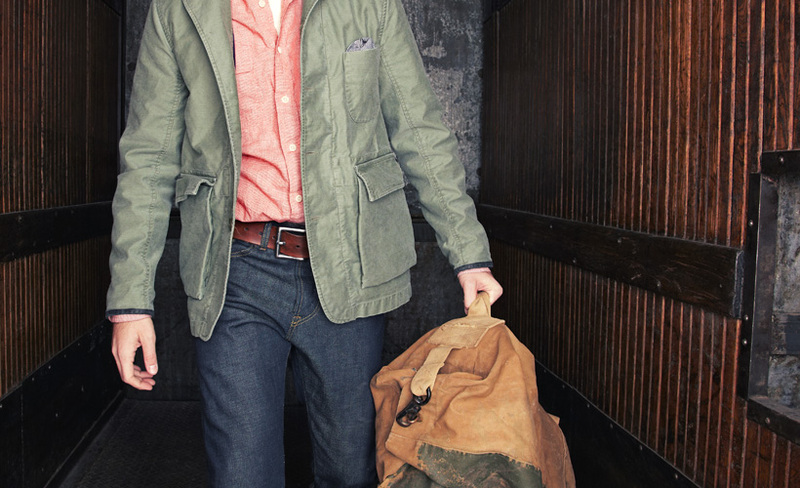 You can’t really go wrong with chambray. 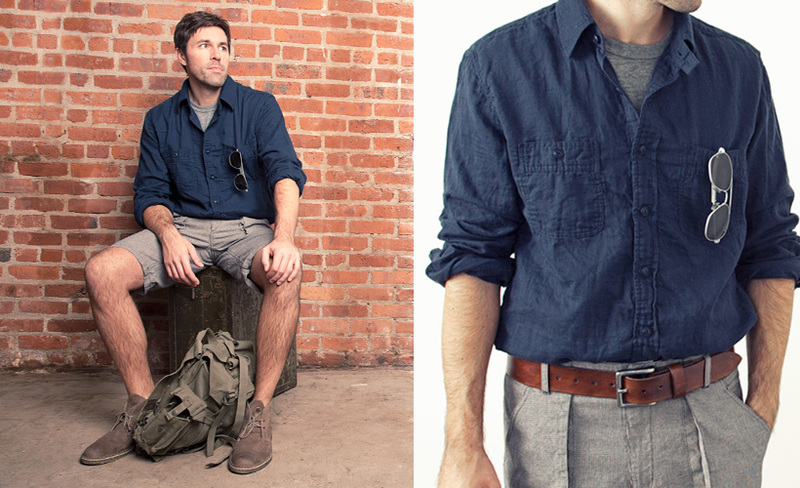 As a women who studies menswear, I’d have to say that chambray shirts are one of the sexiest pieces in a man’s closet.